The Moto X Pure Edition is a lot like Google’s Nexus 6 in that it not only is made by Motorola, but it’s an unlocked device that works on every major US carrier in the US. This is about as universal as it gets for an Android phone in terms of connectivity. With that in mind, you all know that the Nexus 6 is Google’s only officially support Project Fi device, right? Well, in theory, shouldn’t the Moto X Pure Edition, with its awesome network compatibility that is very similar to the Nexus 6’s, technically be able to work with Google’s Project Fi too? See where I’m going here? Yes, we decided to see if it would work. 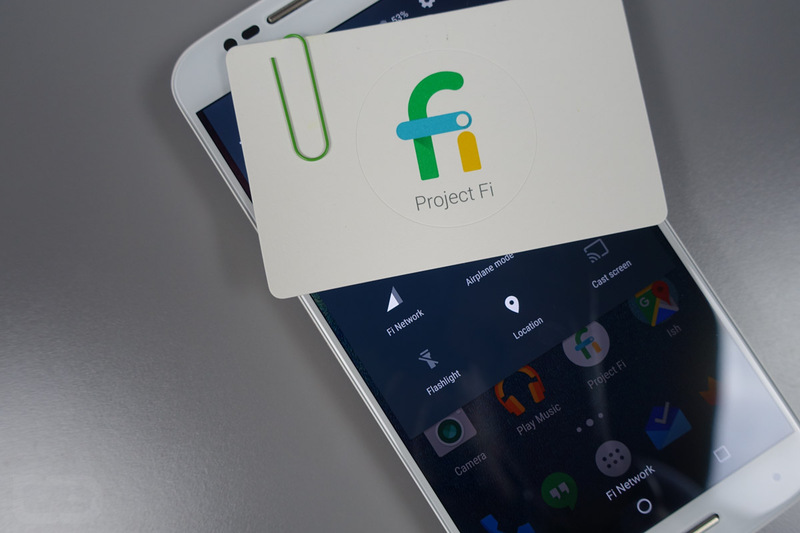 We took an unactivated Project Fi SIM and slapped it in a Moto X Pure Edition. Not only does it seem to be working, but I’m actually not running into any issues at all at this point. As you will see in the video below, the Moto X Pure Edition, with the Project Fi app installed, recognized the Project Fi SIM, asked if I wanted to activate it, then activated it, before letting me know that Fi would assign me a phone number over the next 10 minutes. After that happened, I have found that I can make/receive calls, use LTE data, browse the web, listen to music, and chat with the crew on Hangouts. I even placed a call with WiFi on, toggled WiFi off, and hung on to the call. I also placed a call and was able to still browse the web, showing that this phone is capable of simultaneous voice and data, in certain situations. Now, there isn’t a way to tell if calls placed with WiFi connected are actual WiFi calls like you would see on the Nexus 6, so I can’t confirm that you are able to make WiFi calls and go through that whole seamless hand-off that Fi enables. I also don’t know if this will connect to Sprint and then switch to T-Mobile as I bounce around Portland. (Edit: At least one person had the same thought and is only seeing T-Mobile connections – no Sprint.) After all, the Nexus 6 on Project Fi does have its own special builds of Android from Google that likely allows the phone to do all of that. I do know that it will connect just fine to T-Mobile because it said it was on T-Mobile before realizing I had a Fi SIM in the phone. What I’m getting at, is that there are a lot of questions here that we just don’t have official answers to at this time. We’ll do what we can to test all of this stuff. Update: Our understanding at this point, after hearing from a number of users who have been able to do pretty thorough testing, along with someone who claims to have worked on Project Fi, the phone will likely never be able to switch to Sprint then to T-Mobile and back again. In fact, it may only ever just be stuck on T-Mobile. That’s too bad, but hey, it was worth a try. Still, it works just fine on T-Mobile with a Project Fi SIM in, in case you want to use the Fi app and be a part of Fi, even if it’s on a half-baked level. And again, our testing was with an UNACTIVATED Project Fi SIM. We tossed it in a Moto X Pure and it activated through the app and assigned us a number, as if it was a supported phone. But clearly, not all of the features came along for the ride. Bottom line is that while you can take a Moto X Pure and activate Project Fi on the phone and in the app, you just can’t get the full experience of Fi.